I came across a post showing a dupe of discontinued MAC whisper of guilt highlighter and Kiko Watercolour shadow in shade 208. Right up my street, I thought – until I realised its harder to get than a chocolate bar with no calories! UNTIL….I strolled into my local Kiko store in Brighton and had a look at what was out – there didn’t appear to be any so I asked the assistant ‘excuse me, do you have 2….’ thats how far I got before she went ‘208, yes your lucky we have any in these fly off the shelves’ – She was obviously a girl in the know. 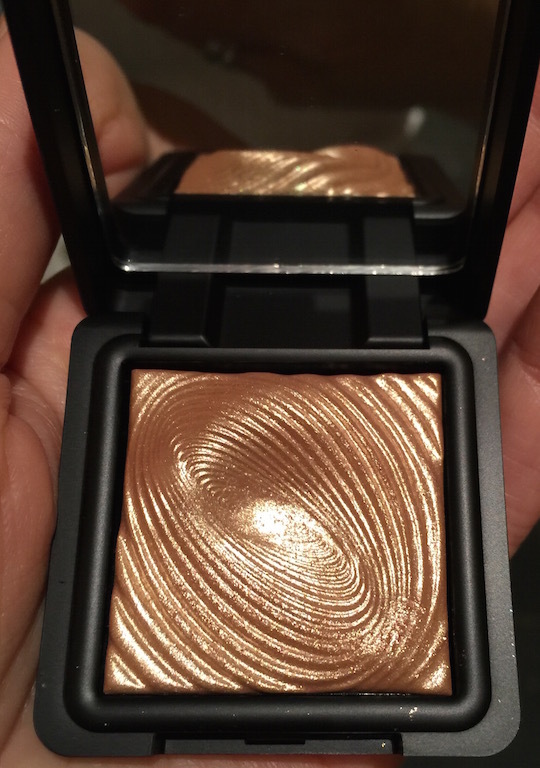 I picked up 2 other infinity shadows and to the till I went!…. I put these on my snapchat ( eleiseonline) and had so many questions about can you use this as a highlighter even though its a shadow. Let me just say OF COURSE! Don’t think because its made for the eyes you can use it on the cheeks! I quite often use shadows for highlighter because the pigmentation of them is sometimes stronger than highlighters + come in better colours! So jus like lipsticks can be used on the cheeks for blush and eyeliners/lipliners can be used either or , most cosmetics can be used in a host of ways other than its original purpose! They do also do a shade 200 ( which looks similar but I think has a bit of a browny tinge to it which isn’t great for highlighting purposes but would be great for the eyes!) – 208 is the one! 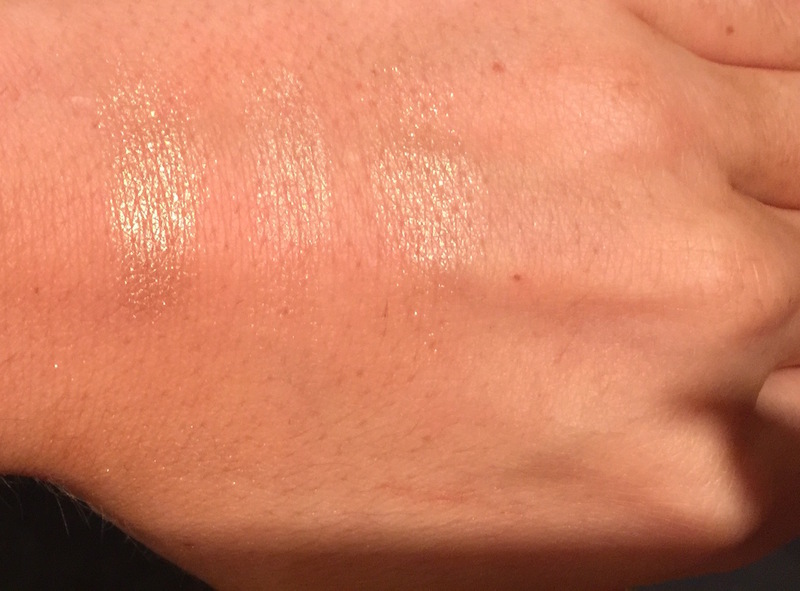 Here you can see the swatches from 1 swipe so you see how pigmented they are in one layer – although I must say this doesn’t show off the 401 shade as well as beautiful as the colour is in real life! 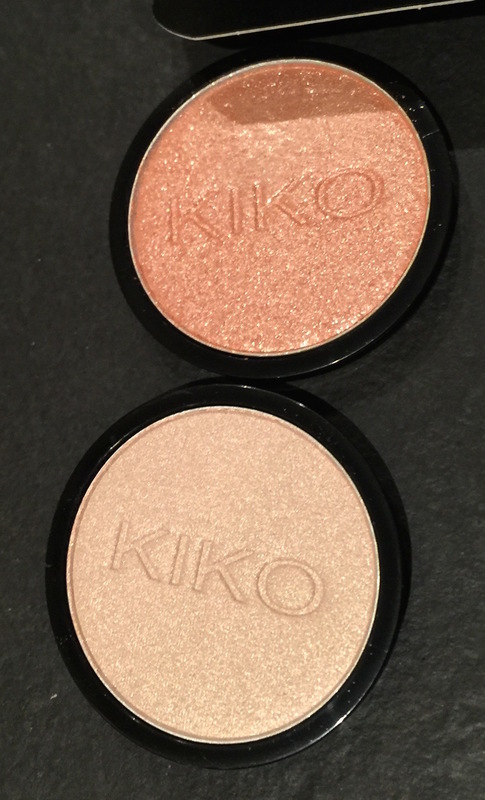 If you haven’t tried Kiko products especially these eyeshadows give them a go they are in my opinion one of the best shadows Ive used!